Summary: Researchers have uncovered what goes on in our brains when we are faced with the decision to take a risk or play it safe. Scientists have located a region of the brain involved in decisions made under conditions of uncertainty, NeuroscienceNews.com image is adapted from the WUSTL press release. Funding: This work was supported by the Edward Mallinckrodt Jr. Foundation and a NARSAD Young Investigator Grant from the Brain & Behavior Research Foundation. Image Source: This NeuroscienceNews.com image is adapted from the WUSTL press release. WUSTL. “Neural Circuits Involved in Making Risky Decisions Identified.” NeuroscienceNews. NeuroscienceNews, 27 July 2016. WUSTL. 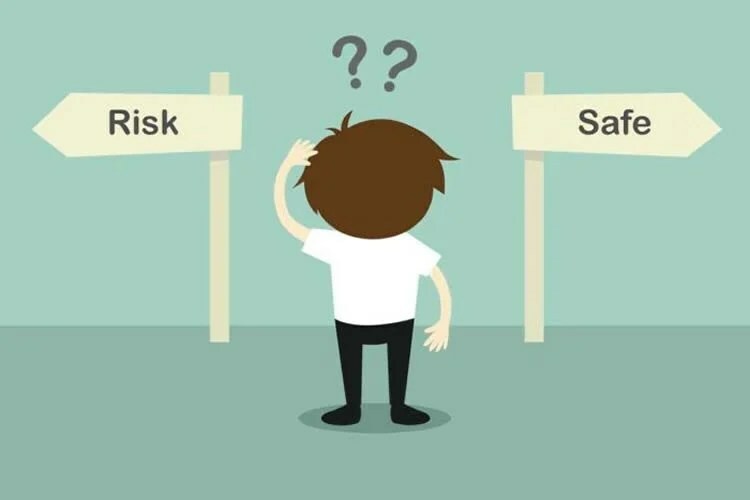 “Neural Circuits Involved in Making Risky Decisions Identified.” http://neurosciencenews.com/decision-making-neuroscience-4741/ (accessed July 27, 2016). The ability to use information about the uncertainty of future outcomes is critical for adaptive behavior in an uncertain world. We show that the basal forebrain (BF) contains at least two distinct neural-coding strategies to support this capacity. The dorsal-lateral BF, including the ventral pallidum (VP), contains reward-sensitive neurons, some of which are selectively suppressed by uncertain-reward predictions (U−). In contrast, the medial BF (mBF) contains reward-sensitive neurons, some of which are selectively enhanced (U+) by uncertain-reward predictions. In a two-alternative choice-task, U− neurons were selectively suppressed while monkeys chose uncertain options over certain options. During the same choice-epoch, U+ neurons signaled the subjective reward value of the choice options. Additionally, after the choice was reported, U+ neurons signaled reward uncertainty until the choice outcome. We suggest that uncertainty-related suppression of VP may participate in the mediation of uncertainty-seeking actions, whereas uncertainty-related enhancement of the mBF may direct cognitive resources to monitor and learn from uncertain-outcomes. SIGNIFICANCE STATEMENT To survive in an uncertain world, we must approach uncertainty and learn from it. Here we provide evidence for two mostly distinct mechanisms for processing uncertainty about rewards within different subregions of the primate basal forebrain (BF). We found that uncertainty suppressed the representation of certain (or safe) reward values by some neurons in the dorsal-lateral BF, in regions occupied by the ventral pallidum. This uncertainty-related suppression was evident as monkeys made risky choices. We also found that uncertainty-enhanced the activity of many medial BF neurons, most prominently after the monkeys’ choices were completed (as they awaited uncertain outcomes). Based on these findings, we propose that different subregions of the BF could support action and learning under uncertainty in distinct but complimentary manners.